Spider veins in your legs can be uncomfortable and distracting enough, but thankfully winter weather means you can live in warm pants or cozy legwarmers and at least hide the problem (until summer). While we think winter is actually an exceptional time for varicose vein removal and spider vein removal from your legs, we do understand why some may put off dealing with vein treatment in the legs until warmer weather approaches. However, spider veins aren’t limited to the legs; they can often show up on your face, along with other problems such as rosacea and port wine stains, which may wreak havoc on your self-esteem and confidence come time for Christmas, New Year’s and holiday parties. 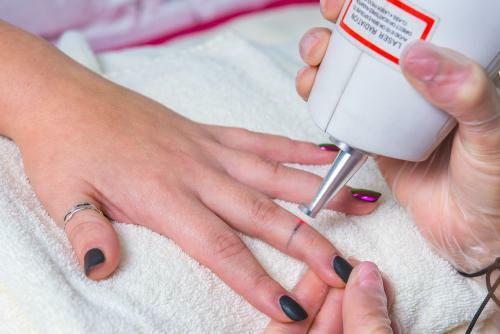 Although there are some websites or places that may tout at-home or DIY recipes and methods for facial spider vein or rosacea removal, just as with varicose veins, those rarely work to diminish their appearance and simply do not work in removing them. By all means, if you’re in a pinch for time try a Witch Hazel or Apple Cider Vinegar rub (or something even crazier) to hopefully reduce the prominence of the veins or rosacea on your face. If you really want freedom from having to cake on makeup, sigh every time you pass a mirror, or dodge the camera every time it’s brought out at a holiday party, it’s time to consider Excel V laser treatments. The Excel V Laser system, uses a unique high-powered green laser, which gets absorbed by the abnormal and broken blood vessels in the skin. It then heats and eliminates the unsightly veins or discolorations, ultimately restores skin to its natural state, skin tone and color. But as crazy as that sounds, it’s safe enough to be used on sensitive facial skin. It is actually Shore Vascular & Vein Center’s go-to treatment method for face conditions, because it can closely target the broken blood vessels in specific areas like the nose and cheeks. 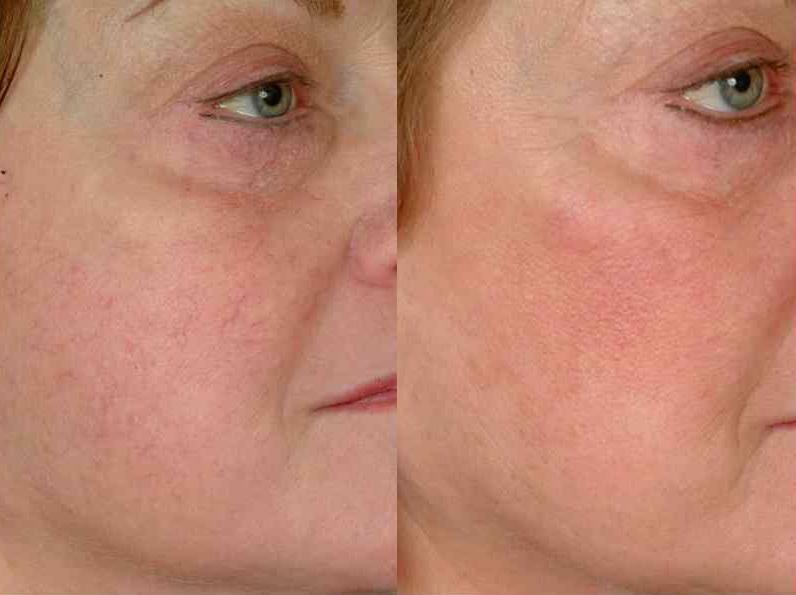 In fact, the laser itself is customizable to every patient’s skin tone and problem like spider veins, but also rosacea, telangiectasia (permanent dilated veins), port wine stain, cherry angioma, and certain skin discoloration issues like sunspots. And on top of that, Excel V uses the latest and most innovative cooling technology for patient comfort. And since there are no real side effects or downtime, once the procedure is over patients can go back to their normal lives – without any embarrassing facial marks to hinder their holiday spirit. The holidays should be about spending time with family and friends, and while this season can get a little stressful, you should not have to stress about the appearance of spider veins or rosacea on your face. Board Certified Vascular Surgeons, Dr. Jeffrey Gosin and his team at Shore Vascular & Vein Center in Somers Point, New Jersey, are some of the most professional and knowledgeable vein specialists in Atlantic County, Cape May County and Ocean County. Schedule an appointment by calling (609) 927-VEIN (8346), and enjoy the holidays without feeling self-conscious or hiding from the cameras.